The sun dips below the horizon casting a colorful glow in the sky and reflection on Hidden Lake. 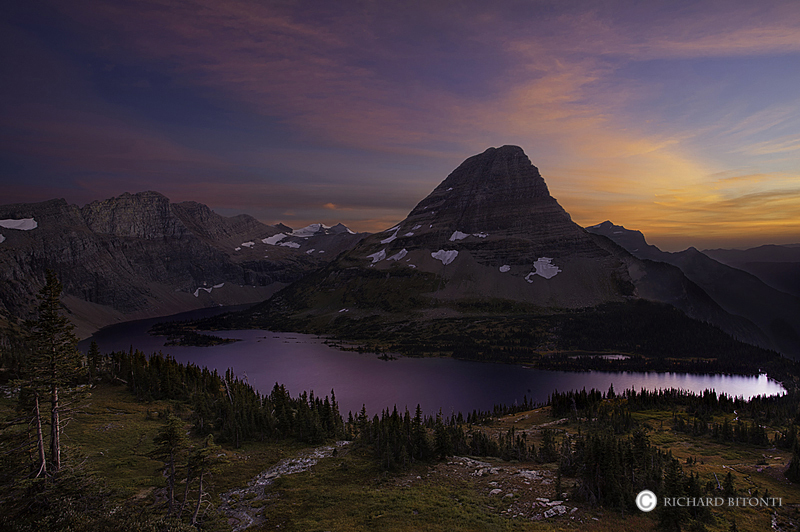 This area is located near Logan Pass in Glacier National Park. Photo © copyright by Richard Bitonti.